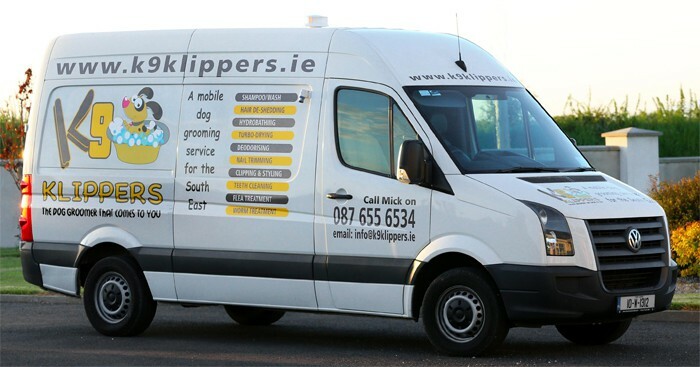 K9 Klippers is a new mobile dog grooming service for the South East that is delivered direct to your door by a fully-trained groomer at a time that is convenient for you. 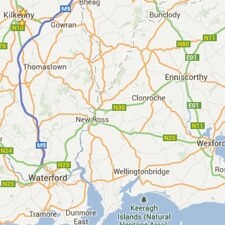 Our mobile dog grooming van serves customers throughout the Carlow, Kilkenny, Waterford, Wexford and surrounding areas. See our service area map to check if you’re within or close to our service area! We take the hassle and stress out of getting your dog groomed by coming to you in our fully equipped, modern, heated mobile grooming salon. Your pet will be groomed on a one-to-one basis outside your home, meaning less stress for you and for your dog. Our service is fully insured. We appreciate that each dog and owner is different in their requirement needs. So please feel free to contact Mick Barron on 087 655 6534 to discuss your dog’s individual needs.